What are the main risks toeconomic and financial stability? What is the evolution of funding costs? How reliant are banks on TLTROs and what are their exit strategies? Pierfrancesco Gaggi studied at the University of Rome “La Sapienza” where he graduated in Economics. As he worked for the Association for Italian Banks (ABI), in the Economic Research department and in the Payment Systems department, he took additional intensive courses in Management and Financial analysis. Since 1998, he is the Chairman of Italian Group of Banks participating to SWIFT. 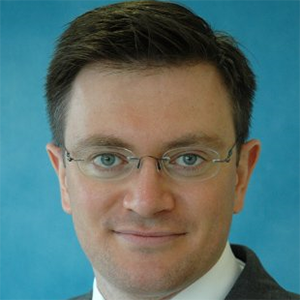 In 2006, Mr Gaggi became Deputy Head of the Financial Services Division at the Association for Italian Banks. In 2007, he was appointed as Member of the Financial Market Committee at European Banking Federation and in 2008 Chairman of ABI Lab – Consortium of banks and banks’ providers in ICT. He is currently a member of the European Banking Federation Executive Committee and a Board member of EMMI since 2011. Pietro has been CEO of Gruppo Sella since 2004. Founded in 1886, Sella is one of the oldest banking groups in Italy and one with a tradition in innovation. He obtained a Master’s Degree in Business Engineering from the Polytechnic of Milan and joined Banca Sella in 1994 as cashier. Under his leadership, in 1996 Banca Sella launched - among the first in Italy - its online banking, online trading and e-commerce services. Today, the group is a well-structured organization consisting of different companies operating in diverse business areas and offering a wide range of banking and financial products and services. In Italy it is the market leader in the ecommerce payments sector and among the main electronic payment systems operators. Kathrin joined Moody’s Investors Service in April 2010 as a member of the Sovereign Risk Group. 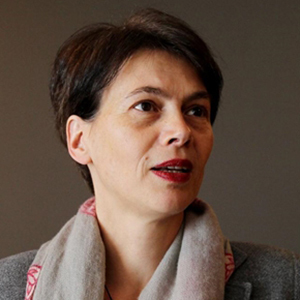 She is the lead analyst for several European Sovereigns, including the UK, Ireland, Greece, Denmark as well as European Multilateral Development Banks such as ESM, EFSF and the EIB. Edoardo Calandro is a member of the EMEA Banking Team, where he is the lead analyst on a portfolio of Italian banks. Fabio Iannò is in charge of a portfolio of Italian and Irish banks. Prior to joining Moody’s in March 2018, Fabio was a Director at Fitch Ratings in London for 7 years covering Italian banks.